Pra Somdej Sai Rung Triple Takrut Pid Tong Gammagarn Gold Leaf Rainbow Powders amulet from the great Luang Por Pae. This is an extremely attractive, and due to only small numbers made, even rarer for its excellence; A beautiful Gammagarn Gold Coated Rainbow Powders Pra Somdej Luang Por Pae, 100th Anniversary of Wat Pikul Tong edition from Wat Pikul Tong. Very few were made of this particular series, making it one of the most highly preferred amulets of the whole Pantheon. These classic Pra Somdej Kaiser Sai Rung amulets were made in the Year 2535 BE, and released as Gammagarn versions in Gold Coated Image on front and rear face, with 3 Takrut (2 in base, 1 in top). Luang Por Pae's Amulets are a Fine Class Sacred Amulet that is not outside the reach of those with lesser Budgets than some of the Wealthier Collectors, a Fine and recommendable Truly sacred Amulet of the Pim Niyom Class, easily presentable in show, and is an amulet that any Thai Amulet Collector in the Know would be quite Proud to own and Wear. 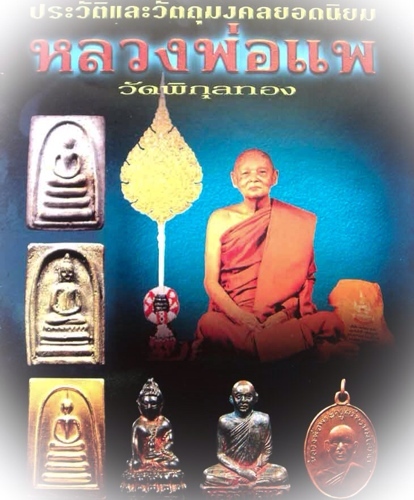 Whoever possesses this Pra Niyom 2535 BE edition Somdej Luang Por Pae amulet, can rest assured of its sacred power and the fact that it can only become ever more rare and expensive, that it is a treasure in itself for its constant and steady increase in rarity, esteem, class and value. The amulets, have in this Pim, a Somdej Kaiser Sam Chan (rounded head with short tapered topknot) Buddha image on the front face, on a 3 tiered dais. 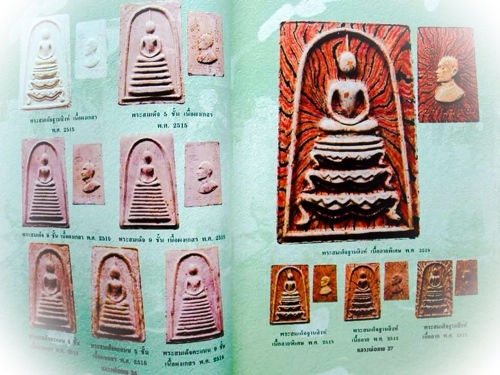 This model is a 'Pim Yai, sized Pra Somdej roughly the size of the famous Pim Pra Pratan (Pim Yai), which is popular from Wat Rakang Kositaram, Wat Bang Khun Prohm, and from Wat Bovornives. The image of the Buddha sitting upon the dais, is coated in golden, and has a swollen chest and feline waist, that is elongated, and is known in Thai language, as 'Ok Krut', which means 'chest of the Garuda'. The head of the border has a very pointed and elongated topknot, which almost pierces the overhead arch. The actual face area is not elongated, rather very round and protuberant, like a spherical dome. This kind of pointed topknot and round face, is known as 'Siarn Badtr', which means 'head like an almsbowl'. In the case of the Somdej Kaiser Siarn Badtr, the head will be larger than in Pra Somdej Siarn Badtr that are not of the Kaiser Pim. This model when given its full title, would hence be called; "Pra Somdej Kaiser Ok Krut Siarn Badtr". The rear side of the Amulets features some ancient Khmer Sanskrit inscriptions of the Kata 'Na Chaa Lii Dti' (Kata Pra Sivali), one Yant Putsoorn on the top left corner, the Syllable 'Ang' in the top right. and an image of the grandmaster Luang Por Pae iseated on a decorative dais, in the central panel of the rear face. 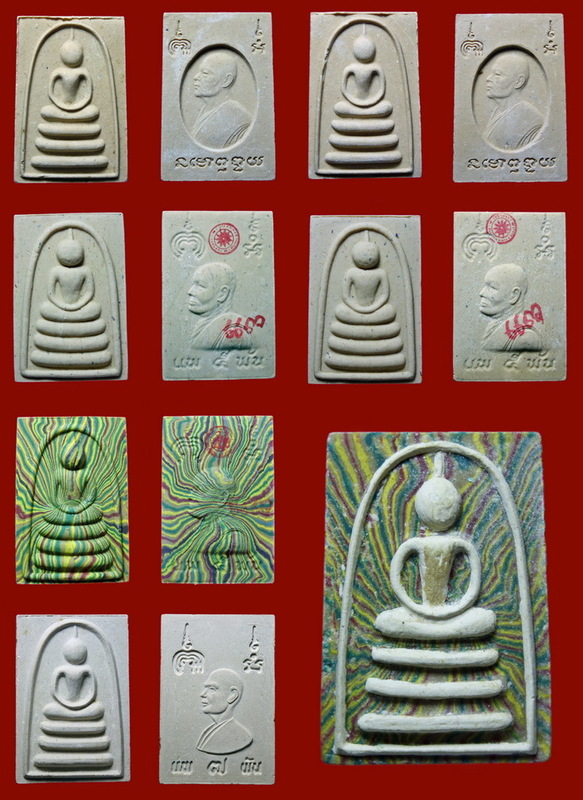 Top left side of the grand master in the top corners, is the famous 'Yant Putsoorn' concentrically written Yantra spells, which are present on almost all authentic amulets from this guru master. These amulets can be found in all volumes of official documentation which is part of what makes his sacred amulets so popular, because of their ease of authentication when one has good reference images for study. The detail is fine and clear cut, and clearly authentic in its features. We predict that by the time our children are grown up, these amulets will be of immensely increased value, and incredibly hard to find one on offer at all, except at an exorbitant price. 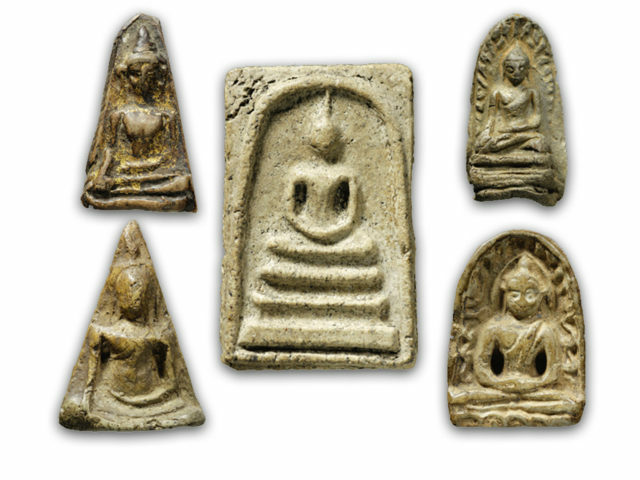 The Pra Somdej Sai Rung are already amongst the most preferred Pra Somdej amulets in the present times, and enjoy the status of Master Class Pra Niyom amulets. 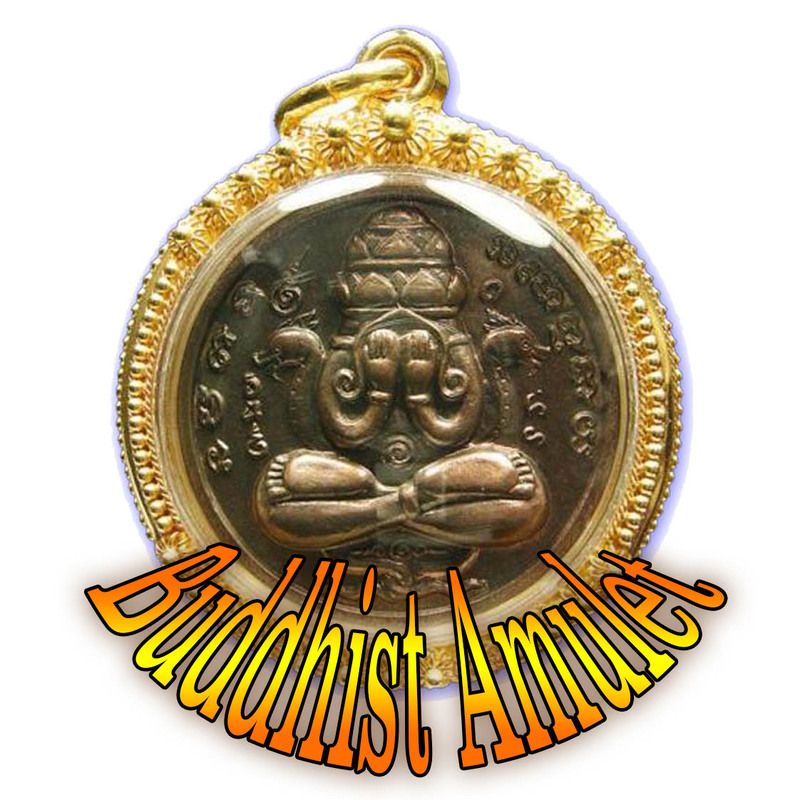 They are now already becoming an extreme rarity to encounter, so now is the time, to hunt and gather the few remaining amulets of Luang Por Pae, before it is too late.